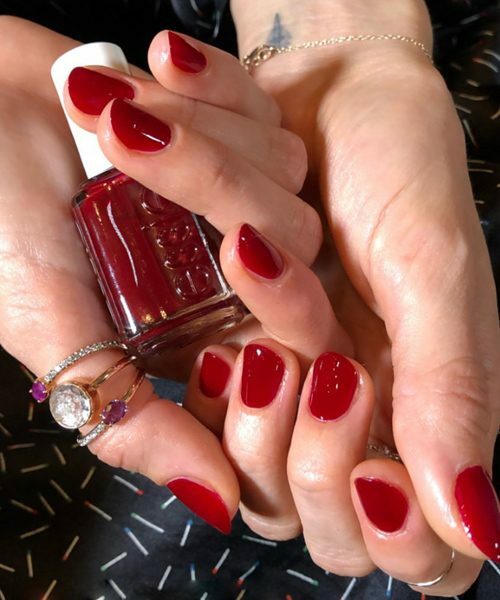 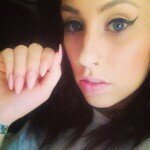 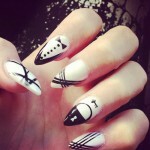 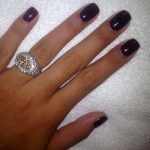 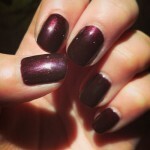 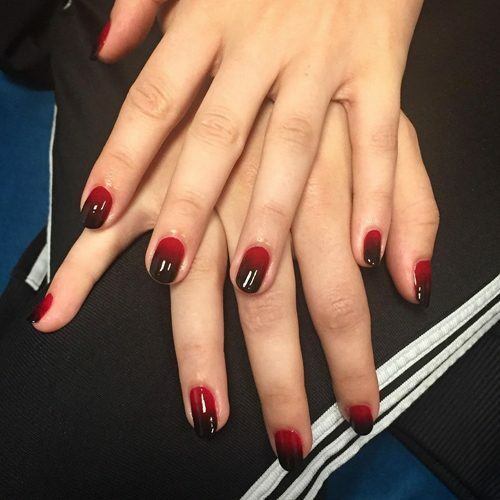 Debby Ryan wearing beautiful and feminine red manicure done with Essie nail polish by Steph Stone. 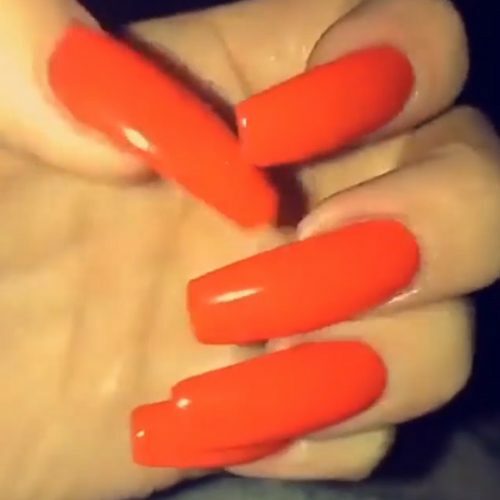 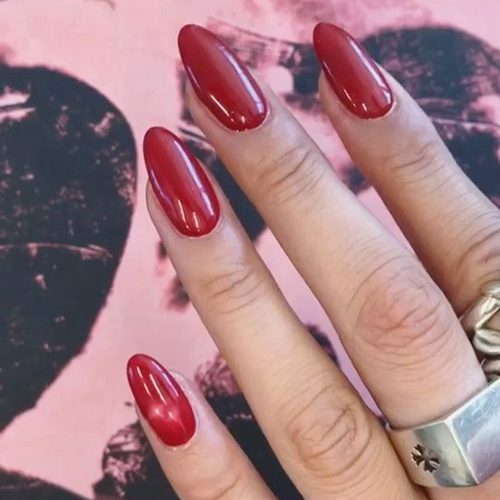 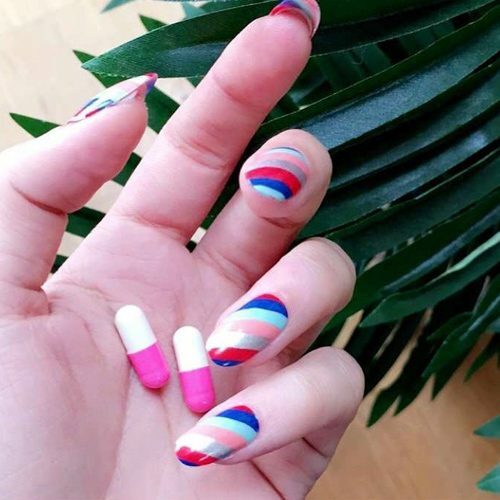 Khloe Kardashian has long orange-red nails. 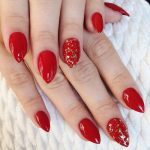 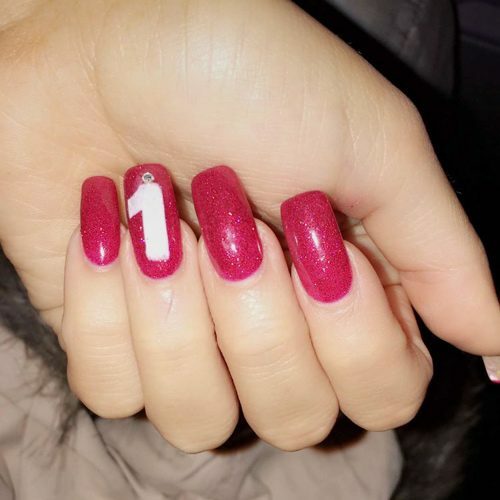 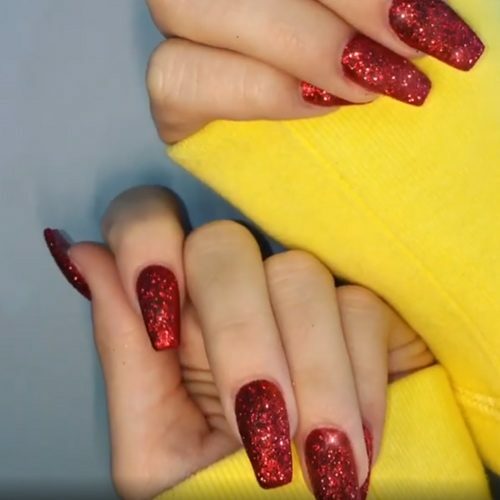 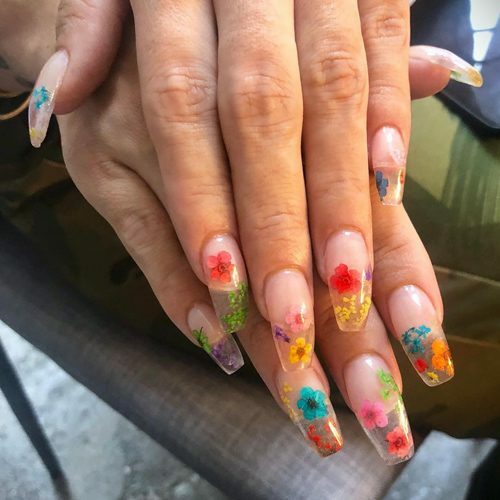 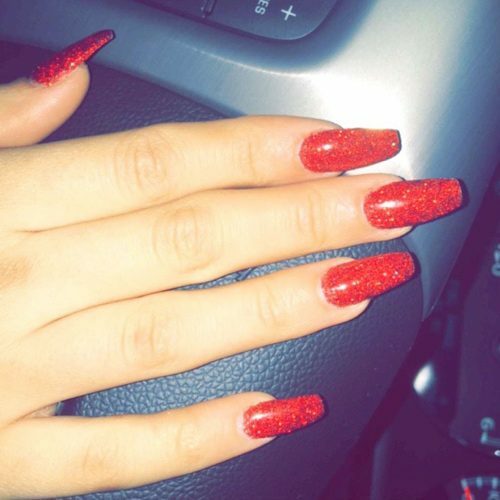 Jordyn Jones wears sparkling red coffin nails.